Motorworks UK are the UK's largest independent supplier of new and used parts for BMW motorcycles. Don't be afraid to ask if you require any further information regarding a listed item. Covers: BMW R-SERIES, 1970-1996 R50/5 (1970-1973), R60/5 (1970-1973). Whether you're a beginner or a pro, you can save big with Haynes! Steering, suspension and final drive. Weight : 706g. Brakes, wheels and tires. Ignition and electrical systems. Fuel and exhaust. Cooling system. UK R45 473cc78 - 85. UK R75 745cc70 - 77. USA R75 745cc69 - 77. R100RT 979cc79 - 96. UK R65 649cc78 - 88. USA R65 649cc79 - 87. UK R80 797cc84 - 94. USA R80 797cc85 - 87. 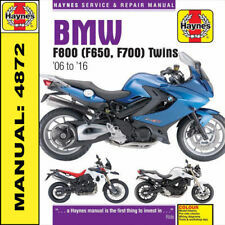 Manual Haynes for 1996 BMW F 650 Haynes Manual 4761 BMW F650. R65 (1978-1985), R65/85 (1985-1987) R65LS (1982-1985). R80 (1985-1987), R80/7 (1978-1980), R80G/S (1980-1986), R80ST (1982-1984), R80RT (1982-1985) & (1986-1987). R100 (1981-1984 & 1991), R100/7 (1976-1979), R100S (1976-1980), R100CS (1981-1984), R100T (1979-1980). 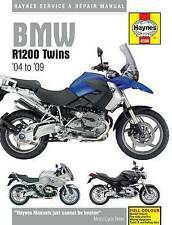 BMW R 850 GS (No ABS) (Europe) 1996-2000 Manuals - Haynes (Each). 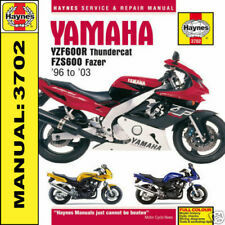 BMW F 650 ST Strada (Europe) 1996-2000 Manuals - Haynes (Each). UK R45 473cc78 - 85. 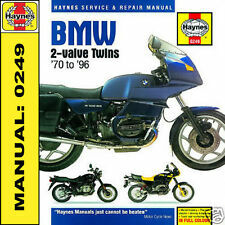 Haynes Manual BMW 2-valve Twins 1970-1996. UK R100 979cc80 - 84. USA R100 979cc81 - 84.I couldn't live without my Haynes. Superbike. Inside this manual Step-by-step instructions: clearly linked to hundreds of photos and illustrations guide you through each job. 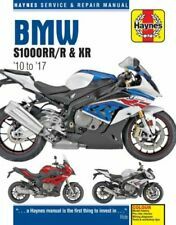 THIS IS THE HAYNES SERVICE AND REPAIR MANUAL FOR THE BMW R SERIES RANGE OF BIKES MADE BETWEEN 1970 AND 1996. 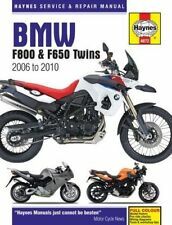 IT COVERS ALL UK & USA MODELS OF BMW TWIN FITTED WITH 450, (473cc),500 (498cc),650 (649cc),600 (599cc),750 (746cc),800 (797cc), 900 (898cc) & 1000 (980cc) TWIN CYLINDER 2-VALVE ENGINES.MODELS COVERED INCLUDE THE BMW R45,R50,R50/5,R60,R60/5,R65,R65LS,R75,R75/5,R80, R80/7,R80RT,R80G/S (INCLUDING PARIS-DAKAR VERSION),R80GS,R80ST,R80RT,R90, R90/6,R90S,R100 R100/7,R100CS,R100GS (INCLUDING PARIS-DAKAR VERSION) R100RS,R100RT,R100S, R100T,R100TR. YAMAHA CW50RS BM's Next Generation Original Scooter Sales Brochure from circa 1996 PUBLICATION No: LIT-3MC-CW50-92E FORMAT: 6 page folder LANGUAGES: English Text. ILLUSTRATIONS: Colour photographs. SIZE APPROX: 21cm x 29.7cm CONDITION: Very Good. Whether you're a beginner or a pro, you can save big with Haynes! Steering, suspension and final drive. Routine Maintenance and servicing. Brakes, wheels and tires. Ignition and electrical systems. Fuel and exhaust. 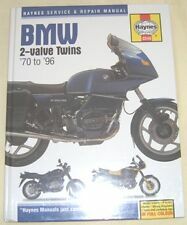 BMW R 850 GS (ABS) (Europe) 1996-2000 Manuals - Haynes (Each).